Early academic achievement is essential for future educational and career success. In order to achieve a high level of success, you must prioritize a variety of health factors including sleep. Many experimental studies have demonstrated that poor sleep habits may impair adolescent learning and memory performance. In fact, there have been several review studies that have connected poor sleeping habits including poor quality of sleep, improper hours of sleep, and erratic sleep schedules to poor academic performance. A recently published study in the Journal of Sleep Research evaluated the association between self-reported sleep variables such as sleep duration and delayed sleep schedules among high school students and their grade point averages (GPAs). Researchers further investigated whether socio-demographics and school absenteeism played a role in achieving academic success. The study was a part of a bigger population-based study, the youth@hordaland-survey of adolescents out of Hordaland in Western Norway. There were 7,798 high school students aged 16 to 19 who participated. All participants completed an Internet-based survey during school hours with staff present to answer any questions. Any students who were absent had the opportunity to complete the survey on their own time with staff available by phone. GPAs were obtained through official school registries. 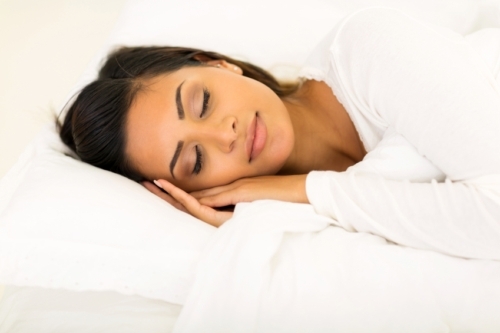 Findings revealed that sleeping for a duration of seven to nine hours per night was ideal. Those who slept for this amount of time had significantly higher GPAs compared to students who slept more than nine hours or less than five hours. It wasn’t just the number of hours of sleep that played a critical role in academic success, though. Achieving high sleep efficiency, which was measured by the amount of sleep divided by the time spent in bed, was also an important factor. Students with at least 90% sleep efficiency had significantly higher GPAs compared to those with less than 75% sleep efficiency. Sleep deficits—that is, the collective effects of regularly not getting enough sleep—were another factor significantly associated with higher GPAs. Students reporting having sleep deficits of more than four hours had lower GPAs compared to those with sleep deficits of less than two hours. Furthermore, bedtime also played an important role in achieving higher GPAs. Students who went to bed between 10:00 and 11:00 each night during the week had higher GPAs compared to those with later bedtimes or those went to sleep earlier than 10:00 p.m. Going to bed more than two hours later on weekends compared to weekday bedtimes also resulted in lower GPAs. As you can see, there are several sleep factors that need to be considered when it comes down to setting your kids up for future success. It’s not just about getting enough hours of sleep but getting quality of sleep and having regular bedtimes. Instilling healthy sleeping habits from a young age is important for academic success in high school but can also pave the way for future endeavors. Future research should further evaluate the associations between adolescent sleeping habits and school performance and the impacts this has on future academic endeavors and work achievements. Hysing, M., et al., “Sleep and academic performance in later adolescence: results from a large population-based study,” Journal of Sleep Research 2016; DOI: 10.1111/jsr.12373.